Anyone following left-wing blogs or political forums will be aware of the claim that Tory leader, David Cameron, is a hypocrite for marking Nelson Mandela as a hero. The complete picture is a little more opaque. Cameron and the current Tory head boys are acknowledged toffs, cast in the image of Harry Enfield's 'Tory Boys' that the Conservative Party under William Hague tried to rid itself of in the 90′s. But were these simply upper-class buffoons or is there a truly malevolent vein running through the clique? We must look back to their university years. Following the second World War and the Conservatives' loss of power, the Young Britons Organisation was reformed to cater for boys and girls aged 6-16, whilst over 16s were accommodated by the creation of the Federation of Conservative Students (FCS) and the Young Conservatives (YC). The Federation of Conservative Students (FCS) was created as the official university-based student-wing of the Conservative Party, although many students were also members of YC. It is remarked that Cameron was not 'political' in University and there is little evidence he was a member of the FCS, although he likely was a member of YC. 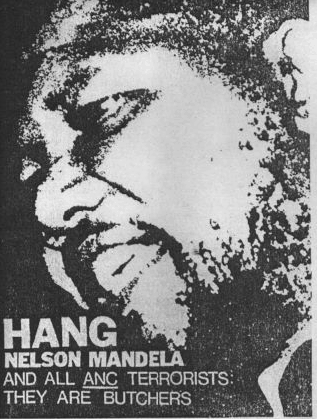 The FCS became well-known for its 'Hang Nelson Mandela' posters and badges, as well as, slogans such as 'Execute Arthur Scargill! ', or 'Smash the NHS!' 'Kill the Wets'. Some members of the top level of FCS negotiated with the BNP. The FCS were far-right, libertarian in outlook and fashioned themselves as shock troops for the right-wing of the Conservative party, adopting the moniker 'Maggies Militant Tendency'. The satirical magazine Private Eye alleged that members of the FCS at Aberystwyth wore springbok jerseys, racially abused ethnic minority bar staff at the student bar and organised a night out in Aberystwyth town centre to celebrate the anniversary of Adolf Hitler's rise to power in Germany. Tory student leader in ' racist ' party link / Paul Delarie-Staines of FCS attempts to form pact with British National Party in Hull by David Rose a leader of the Federation of Conservative Students wrote to an organiser of the British National Party proposing joint 'direct action' to disrupt the meetings of leftwing students. Secrecy, he emphasised, was essential: 'The Reds would simply go wild if they got to hear of a BNP-FCS link. I would personally be in danger of being expelled from the Conservative Party.' The author of the letter is Mr Paul Delarie-Staines, the chairman of the federation's 50-strong branch at the Humberside college of Higher Education. Mr Delarie-Staines, who is in his first year of a degree course in business information studies, wrote on May 22 to Mr Ian Walker, a BNP organiser in Hull. He was, he said, against several of the aims of the BNP, which campaigns for the repatriation of black citizens. Mr Delarie-Staines said he did not share the BNP view on immigration: as a member of the 'libertarian' faction of the FCS he advocated the free movement of labour, albeit with the caveat that 'you come here to work – or starve. 'He went on: 'I share a lot of your objectives.' These included a return to leadership and statesmanship, the abolition of the welfare state, and 'the elimination of Communism in Britain – the mass media, the trade unions, and the schoolroom. 'Mr Delaire-Staines continued: 'Nevertheless, even though we have our differences, I know a lot of BNP people at college do support the FCS (some are members of the FCS). I can certainly envisage some degree of cooperation. The Paul Staines in question is better known now as right-wing blogger Guido Fawkes. Norman Tebbit disbanded FCS in '86 as he viewed it as too extreme, they had accused Tory PM Harold Macmillan of war crimes in extraditing Cossacks to the Soviet Union. Before this prominent members included – Michael Forsyth (member of John Major's cabinet, knighted in 97 and appointed to the Lords in 99). John Bercow (current speaker of the House of Commons and the last chair of the FCS. Bercow is something of a self-made man, and there is a simmering animosity between him and Cameron. Son of a taxi-driver, educated in state schools he is the 'Loadsamoney' Thatcherite compared to Cameron's 'Tory Boy' descendant of King William IV. Cameron's father was a stockbroker, mother served as a magistrate and he went to prep school before Eton). Matin Callanan (leading the Conservative European Parliament section and seen by analysts as one of the trinity really leading the Tories along with Tom Strathclyde and Cameron). YC, which shared members with FCS before their respective disbandments, was not as extreme as FCS – at least overtly – and it was suffered until William Hague's decision to disband it in 1998. With less emphasis on political fundamentalism it was something more of a social club or marriage bureau, although responsible to a large extent for Churchill's re-election in 1951, akin to Ireland's Young Fine Gael or Ogra Fianna Fáil. However this is not to say that Cameron was oblivious of the right-wing nature of his political allegiance. In 1989, 23yr old Cameron was working at the Conservative Research Department and was seen as future leader material. He accepted an apartheid-lobbyist trip to South Africa, what was called a 'sanction-busting jolly' by critics. His host was Strategy Network International (SNI), created in 1985 specifically to lobby against the imposition of sanctions on South Africa. Thatcher at this time had called Mandela a terrorist and the Conservatives were defiantly anti-sanctions. While this is circumstantial it can be noted that Cameron has surrounded himself with former FCS and YC members, the very people that regarded themselves as more Thatcherite than Thatcher. The Bullingdon Club and Monday Club influence on Cameron, his cabinet, speech writers, advisors and supporters is more relevant than whether or not he wore a 'Hang Mandela' badge or tie like so many of his colleagues. The select few that came through the YC, FCS and the two example clubs are in charge and largely share the same platform. They were anti-communist, pro-apartheid, arguably anti-immigrant or straightforwardly racist (although Libertarian and other peculiarities muddy the water here (eg this account by Derek Laud), anti-republican, anti-Irish, fanatically pro-privatisation and defiantly upper class. 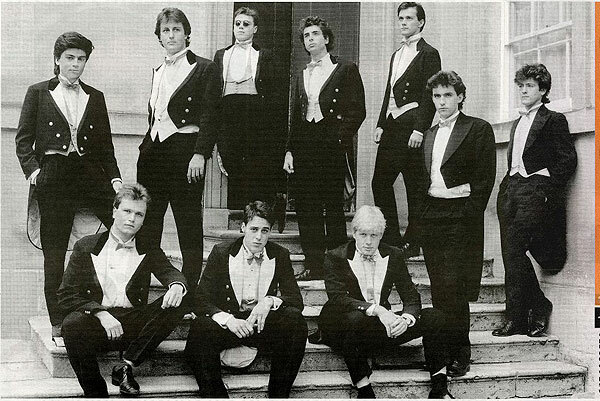 Cameron sports fifteen old Etonians in his cabinet. The privilege is strong and the sense of entitlement is natural.